Our customers benefit from over 30 years of experience helping consumer goods companies automate their processes, optimize performance, streamline information and improve productivity. Today we support over 1,300 customers across a number of consumer goods industry segments. AFS can help you optimize your potential because we understand the specific business requirements associated with your role in the consumer goods industry or specific industry niche. Whether you are a manufacturer, distributor or sales agency, we offer solutions that will help you boost profits and quickly achieve ROI. We offer solutions for trade promotion management, retail execution, supply chain and data visualization. We bring our software solutions, best practices and industry knowledge to standardize and harmonize the key business processes needed to manage activities such as trade spend, deductions, digital merchandising, van sales and warehouse management. We provide best practices for managing your individual role in finance, sales, marketing, operations or IT to help maximize your contribution to your company’s profitability. 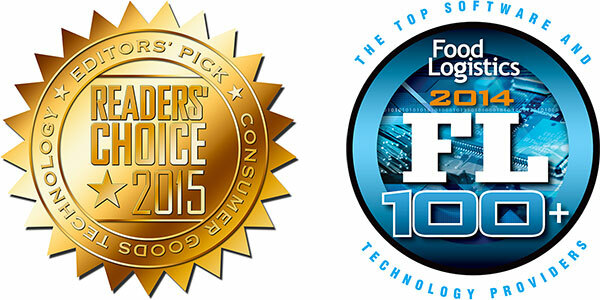 In December of 2014, AFS Technologies was recognized by Food Logistics in its annual FL100+ list for being a leader in global food supply chain solutions.